A town site of 103.25 acres (41.78 ha) was purchased for $642.51. 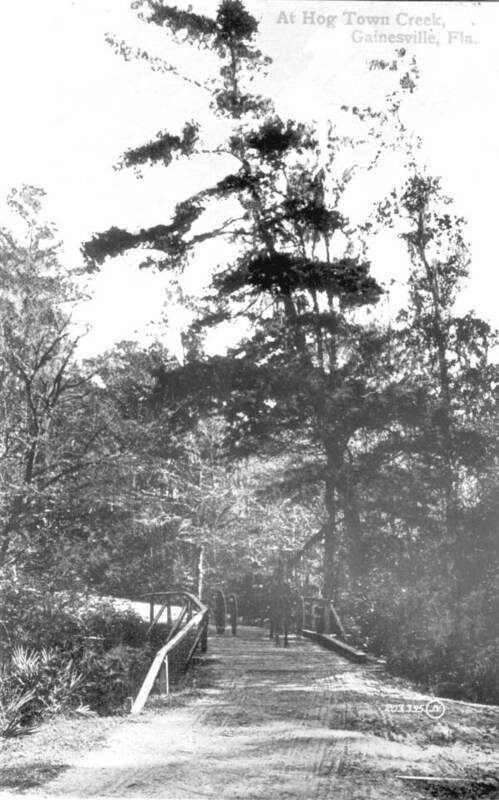 The County Commission ordered the public sale of lots in the town site in 1854, but no deeds were recorded until 1856. A courthouse was constructed in Gainesville in 1856, and the county seat was then officially moved from Newnansville. A jail was built in 1857, and a well was dug and a pump for public use installed the same year. Property values rose quickly. A city block on the edge of town purchased for $14.57 in 1857 sold for $100 in 1858. 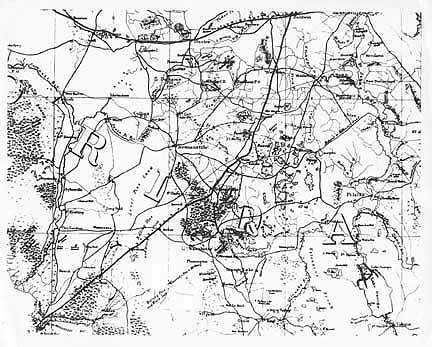 The railroad from Fernandina reached Gainesville in 1859, and connected to Cedar Key the next year. By that time, there were eight or nine stores and three hotels surrounding the courthouse square. 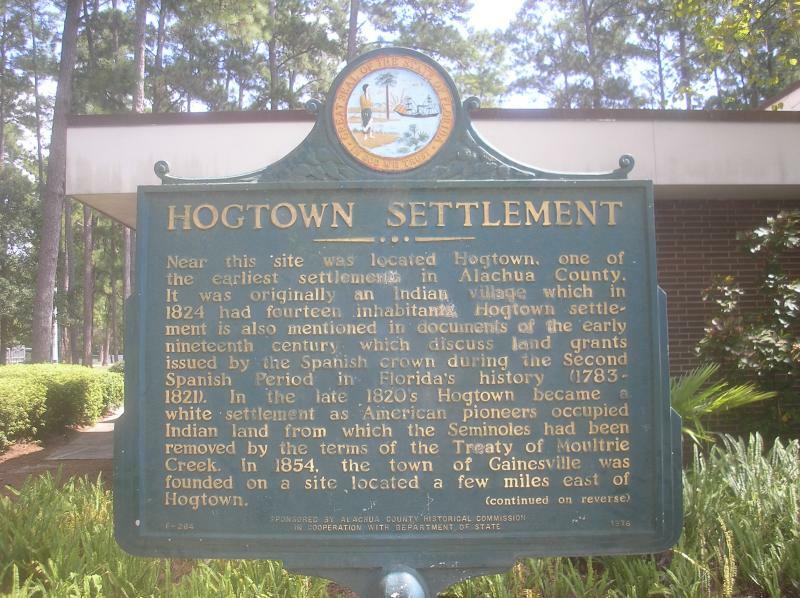 The former site of Hogtown was annexed by the City of Gainesville in 1961. It was decided to name it Gainesville after General Edward Gaines, who had centered some of his operations during the Civil War in Hogtown. 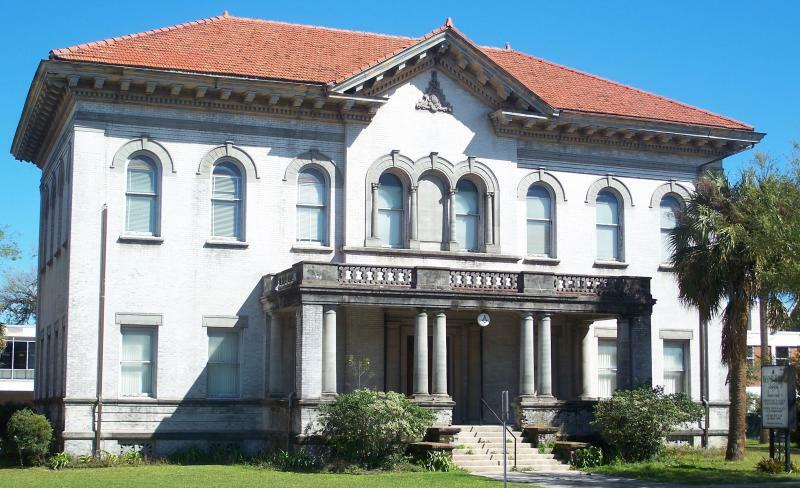 McCreary's House, was built in 1890, is located at 815 East University Ave. This large Victorian house, saved from demolition in 1975 when it was moved to this site, was the family residence for Henry Hamilton McCreary. 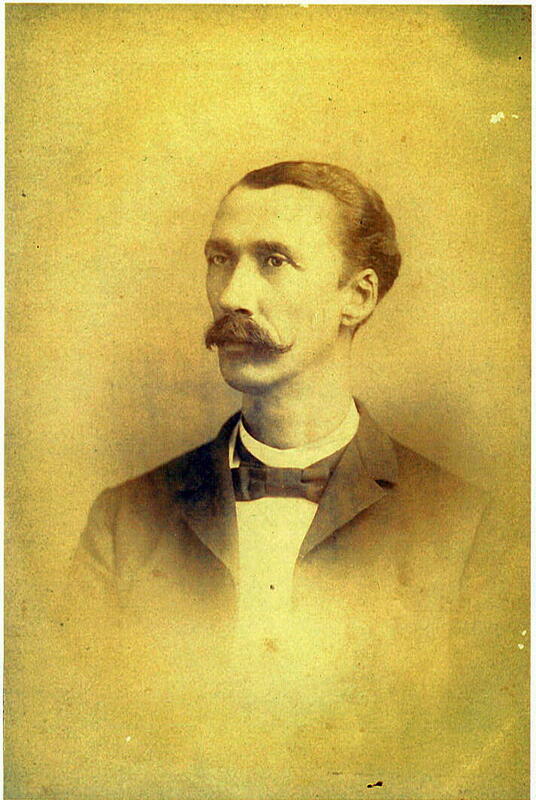 In 1879 McCreary came to Gainesville as a young journalist and became editor and publisher of the Bee. After consolidation with other newspapers, it became the Gainesville Sun which McCreary edited and pub-lished until 1917. The McCreary descendents lived here until 1974. A mixture of vernacular and Queen Anne architectural styles, the house features an unusual curving second-story bay, a Palladian window and a large front-facing gable. Henry Hamilton McCreary: born in North Carolina and moved with his family to Cedar Key, Fl, as a young child. He came to Gainesville in 1879 and established himself in the newspaper business, editing and publishing one of Gainesville's earliest newspapers, the "Weekly Bee." The "Bee" was consolidated, along with several other newspapers, into the "Gainesville Daily Sun," which Mr. McCreary edited and published until 1917. He served several terms in the Florida State Legislature, both in the House and in the Senate. His home stands today at 815 East University Avenue. Mr. McCreary died October 12, 1921, and was buried in Evergreen Cemetery. Henry H McCreary was one of the first settlers in Gainesville. He was a highly honored journalist who owned and edited a few first Gainesvillle newspapers. One of the newspapers was "The Advocate".